I grew up with the standard mix of fairy tales that most American kids in the 80s were probably familiar with – Jack in the Beanstalk, The Pied Piper, Little Red Riding Hood, Sleeping Beauty, Snow White, Rumplestiltskin, The Red Shoes, Hansel and Gretel, and more. They were a part of my childhood, in everything from Disney movies to bedtime stories. Most of these stories were cautionary tales: be a good/obedient/quiet child, otherwise something bad will happen to you. In a handful of the stories the child was good and obedient, but their parent wasn’t, so the child paid the price. Moral of the story? Being a child is garbage, you better grow up as fast as possible. Playing with fairy tales is fun, it always has been. Turning them on their side, fracturing them, giving them a modern take, taking them apart and putting them back together again. I’m not sure who has more fun in this situation – the author retelling a fairy tale, or the reader who gets to enjoy the finished product. The original stories were always so sparse, so light on the details. What happened before the story started? What happened after it ended? Did the person really deserve what they got? Maybe the witch had a really crappy childhood, maybe the little girl really hated her grandma, maybe “magic beans” means something different, maybe Rumplestiltskin was just really socially awkward. And don’t even get me started on the Pied Piper of Hamlin (Thanks Cooney!). 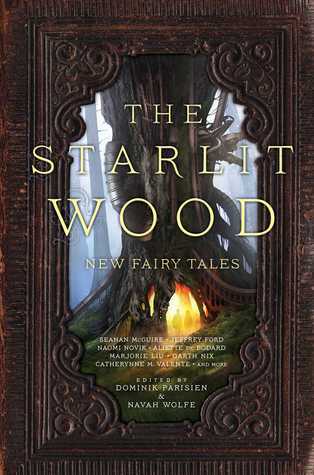 The Starlit Wood, edited by Navah Wolfe and Dominik Parisien joins a fine literary tradition of inviting authors to give an old story a new twist. While I was reading this book, my husband asked me if it was like one of it’s famous predecessors, Snow White, Blood Red, edited by Datlow and Windling, and I said this new one was a far more modern take. Granted, it’s been years since I read Snow White, Blood Red, but I don’t remember quite as much recreational drug use, post-human characters, 3-d printing, or humor. Yes, some of the stories in The Starlit Wood are laugh out loud funny, but others are just as horrifying, disturbing, and cautionary as the original tales. The sheer variety of types of stories and styles of storytelling in The Starlit Wood sets this anthology apart from others in the same vein. It’s as if the editors told their authors “I trust you. Now go do your crazy magic”. And the authors did their magic, and suddenly witches became caretakers and advocates, giants became not-so-godly post-humans, parents forced their losses on to others, children told themselves stories to escape their own awful childhoods, stories intertwined and diverged and then and found each other again, fortunes were made, and some people even got a happy ending. If the original tales were cautionary, these new ones are about throwing caution to the wind. Angels and Demons constantly play at war. Someone has to keep them in check, because what happens in the unearthly realms is reflected in the earthly realms. When angels and demons go to war, humans pay the price. The Los Nefilim are beings of angelic descent who use their magic to keep angels and demons in check. Their magic is in part fueled by their angelic vocal chords, and each Nefilim must find their own unique melody. 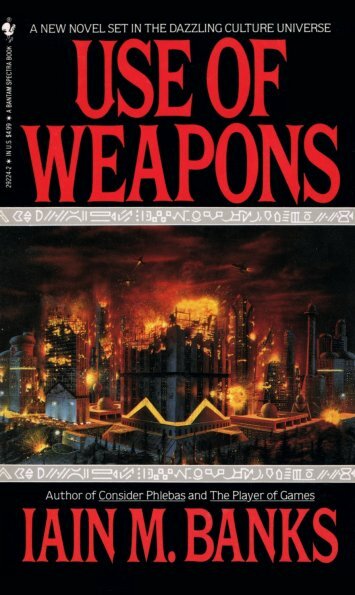 You know how a lot of fantasy novels start out with a huge infodump of the political situation, how the magic works, who has the magic, and why? An introduction, or a prologue, or whatever? Frohock does none of those things, or at least she doesn’t do them in the expected order, and it was so damn refreshing! The first novella, In Midnight’s Silence, is so light on the worldbuilding that at times I had a tough time figuring out who was who, and what was going on, and how all these characters were involved with one another. 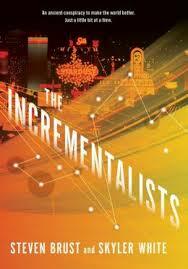 But I enjoyed the characters and the writing style so much that I didn’t care that I felt a little lost. 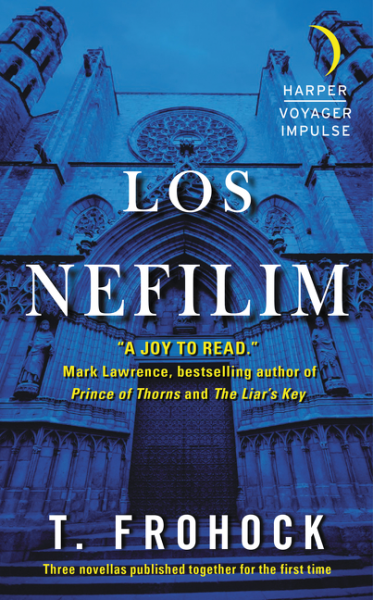 Los Nefilim is a slow and dark burn, and that slow but steady rise to intensity makes you want to know more and more about what’s going on. There is a lot of darkness in this story, but also some laugh out loud funny moments. And when the reveals come, they are that much more satisfying. Los Nefilim reads a little like Steven Brust’s The Book of Jhereg, where upon first read you may not be entirely sure what is going on, but the characters and what they are dealing with is so damn fun / awesome / dark / cool as hell that the pages just fly by, and eventually you get to those chapters that explain everything. So if you feel a little lost at the beginning of Los Nefilim, trust me, just keep reading. When we first meet Diago and Miquel, they’ve already got plenty on their plate. Miquel has been part of Los Nefilim for a while, and although Diago has an ancient connection with their leader, Guillermo, he’s got a long way to go to prove himself as worthy. Miquel, Guillermo, and the other Los Nefilim are of purely angelic ancestry, and Diago was dual born – which means his magic can be used by either side. And that’s just a portion of the big picture, political stuff. What made this book shine for me was the small, intimate things. The family stuff. Diago learns he has a son. A child conceived through psychological manipulation, no one can blame young Rafael for the situation of his conception. Diago and Rafael adopt him from the orphanage he grew up in, and there are all these unexpectedly funny and endearing parenting scenes. More than anything, Diago and Miquel want Rafael to have a normal childhood. But when you fight demons and develop your own magic, is normal and safe ever possible? 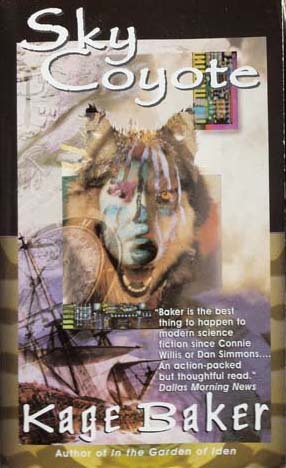 Spells of Blood and Kin was mentioned in my recent 5 Books, 50 pages blog post. Of the books mentioned in that post, this was the only book that I had a tough time stopping reading at exactly 50 pages. In fact, by the time that blog post published, I was halfway through Spells of Blood and Kin, and finished it 48 hours after picking it up. I couldn’t put this book down, I didn’t want to put this book down, I was late to work because all I wanted to do for 2 days was read this book. If you’re a fan of dark fantasy, of stories that have weight and depth and sensuality and secrets and consequences, this is a book for you. We all know those fantasy authors who write in a fashion to make their novels longer, because an epic story should have an epic number of pages, or something. Short story authors do the opposite – often self-editing their work towards making their prose more effective in fewer words. 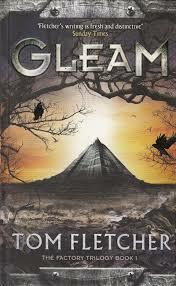 Claire Humphrey is a well published short story author, and you can see her short story composition skills on display in Spells of Blood and Kin. What I mean by that is there is not a single unnecessary word or scene in this book. Every scene, every conversation, and every paragraph is honed down to a sharp reflective edge, increasing the effect of the words, pushing the reader to engage with the story in a more intimate and imaginative fashion. That was a lot of fancy talk to say Humphrey is a damn good writer. 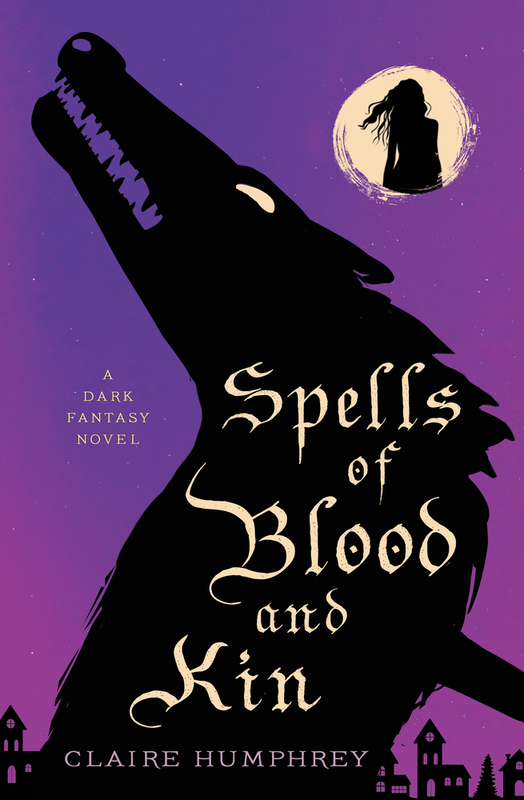 Spells of Blood and Kin opens with a surprising and unnerving sentence, dives right into the compelling intricacies of the plot, and runs from there. Like with most books, everyone is going to have a different reaction to this book, and much of my personal interaction with this book happened between the lines, in what Humphrey left unsaid. So, what’s this story about? Lissa’s grandmother Iadviga has just passed away. In a stunned state of grief, the funeral is planned, the church ladies bring piles of food to the house, and Lissa starts going through her grandmother’s things. Not only is Lissa inheriting the house and the debt, she is also inheriting her Baba’s responsibilities among the traditional Russian families in a community surrounded by the cosmopolitan bustle of Toronto. On the night of Iadviga’s death, the spell she had been weaving and reweaving for over 30 years collapsed. For her Baba’s funeral, Lissa was allowed to enter the church building, but not allowed to be in the sanctuary. Because while the church will tolerate the community’s need for witchy women, magic practitioners are not allowed on consecrated ground. With one hand the community shuns Lissa and her family, while placing orders for magic eggs with the other hand. I’m sure you grew up reading Jane Yolen. I know I did. Maybe your mother read you her children’s rhyming books when you were a child. Maybe you read those books to your children. Even if you don’t know her name, you know her work. From young children rhyming books such as An Invitation to the Butterfly Ball to books for young readers, to books for older readers. When I was a preteen, I read a book whose scenes still haunt me, more than twenty years later. That book? By Jane Yolen. A novelist, poet, fantasist, journalist, songwriter, storyteller, folklorist, and children’s book author, Jane Yolen has written more than three hundred books. Her accolades include the Caldecott Medal, two Nebula Awards, the World Fantasy Award, three Mythopoeic Awards, the Kerlan Award, two Christopher Awards, and six honorary doctorate degrees from colleges and universities in Massachusetts and New Hampshire. Born and raised in New York City, the mother of three and the grandmother of six, Yolen lives in Massachusetts and St. Andrews, Scotland. Many of her titles have recently become available as e-books through Open Road media. Mrs. Yolen was kind enough to answer a few of my questions about her books, how publishing has changed, and if she’s got a particular pet. Read on for the answers! Little Red Reviewer: Although many readers (including you and I) are still quite fond of physical books, e-books are making quite the inroads. I find e-books convenient for books that have been out of print for a long time and are have now become available as e-books. What do you think might be the next leap in “book technology”? Jane Yolen: Possibly a return to physical books (which I prefer) with parts that move, imbedded movie bits, music chips. Or possibly surround-books with movie screens in the middle of which the reader sits to be immersed in the sound and movement of the book. I don’t expect to see these myself at my age. In the center of a never ending plain of machinery, abandoned factories, destroyed buildings, swamps, snails, and desperation lies the Pyramid. And within the Pyramid lies civilization. Alan grew up in the Pyramid, but he wasn’t born there. He still burns with the pain and hatred of watching Pyramidders kill his family and destroy the village in which they lived. His life was spared that day, and he was taken to live in the Pyramid, to be educated and trained, and eventually take up a station, to get married, and to have a child of his own. But Alan never forgot what happened to him. Forced to watch his son be indoctrinated into the beliefs of the Pyramid, Alan begins to educate the boy on what life is really like outside, out in the discard. But the Pyramid will not suffer opinions and beliefs other than their own, Alan’s family is terrorized and he is banished, to survive if he can, back in the discard. At a breakneck pace, Tom Fletcher zips us through Alan’s failing marriage and the challenges of being married to a born Pyramidder, and how he’ll do anything to see his son once he’s been kicked out of the Pyramid. He bribes guards with drugs and information, and hopes one day to rescue his son and wife from the lies and brainwashing of the Pyramid. But rescue them to what? He knows his wife wouldn’t want to life in the Discard, no matter how safe parts of it is, so what is he rescuing them from, and where would he take them if he was successful? Gillian Philip has been making me all sorts of squeerolling happy lately. It was only April of this year that I read Firebrand, the first book in her Rebel Angels series. And just, WOW. Go read my review. no, seriously, go read it. And then go read the even better review of the second book in the series, Bloodstone, which just came out. Ok, so what’s better than these two incredible books? well, two things, actually. Thing the first, is Gillian’s superb guest post below on character point-of-view, and thing the second is Tor is giving away two copies of Bloodstone! See details at the bottom of the post for rules about the giveaway. Gillian Philip was born in Glasgow, lived for twelve years in Barbados, and now lives in the north of Scotland with her husband, twin children, three dogs, two sociopathic cats, a slayer hamster, three chickens and a lot of nervous fish. 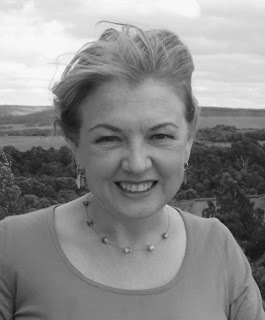 She’s the author of The Darke Academy series (writing as Gabriella Poole), the Survivors series, (as part of the Erin Hunter writing team), a long list of children’s and young adult stand alone novels, and the Rebel Angels dark fantasy series. 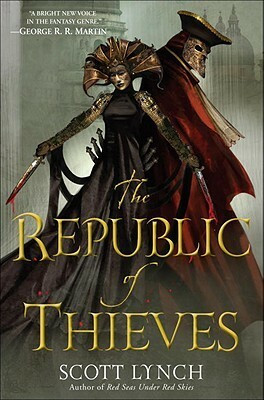 She’s been nominated for the David Gemmell Legend award, the Carnegie Medal, and been shortlisted for numerous other book awards. Learn more at her website her twitter, and her facebook page. When I wrote Firebrand – and I still remember how much fun it was, for me if not for my characters – I had the best time spending an entire book and months of my life in Seth MacGregor’s head. Every word was written in his first person narrative. I lived with that boy every minute of every day and it felt like having… well, let’s see… a very, very close younger brother constantly at my side (anything further might verge on creepy, ahem). I knew what he was thinking and feeling, I knew what he was planning, and it felt very much as if that came from him, not me. Now, Seth had actually started his life as a minor villain in Bloodstone (the first of the series I actually wrote) and he’d barged in, taken over and demanded it be all about him. I didn’t mind. I liked him. I liked him more than I really should have, given the kind of things he got up to in Bloodstone.